Has it really been four + years, since The Rover has traveled Outside? I received that reminder earlier in the week, which did catch me by surprise, I have to admit. Seems like just yesterday. Time does have the habit of sneaking up on you, doesn’t it? 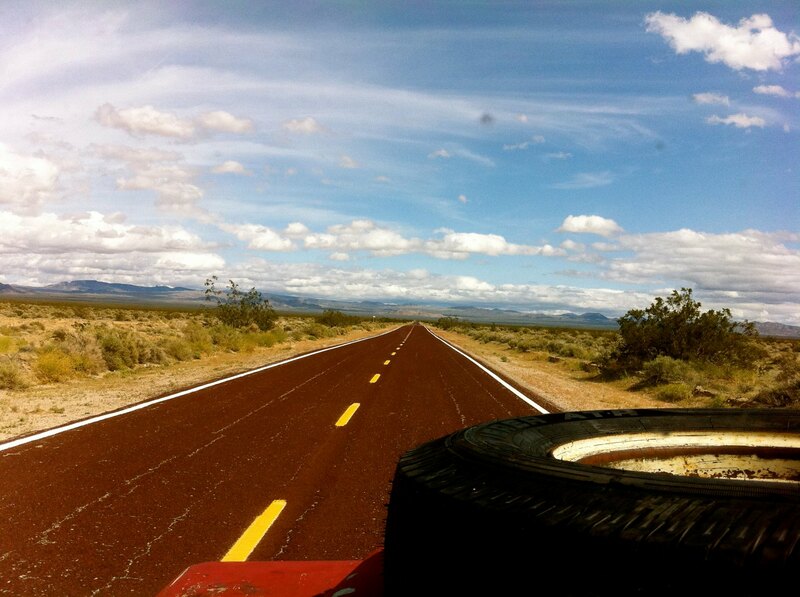 I clearly remember this section of Route 66. I was traveling along, the only vehicle on the highway, when suddenly, out of nowhere, a silver Porsche blew past me. I saw brake lights, and the Porsche hovered in the opposing lane, off The Rover’s left, front fender. The passenger window was lowered, and a camera, with an extraordinarily large lens, appeared from the passenger window pointed directly at The Rover & I. One click later, I received a “thumbs up” sign, the camera retreated back into the car, and the silver Porsche disappeared down the brick-colored highway in a flash. — Hunter S. Thompson — at Kickin’ it on 66.